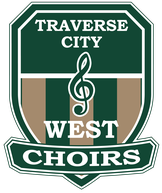 Welcome to the Traverse City West Middle School Choirs! We are thrilled that you're here. 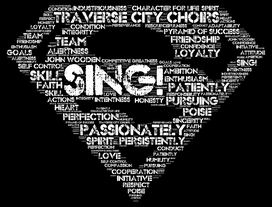 We are a family of people who care deeply about each other, and we are a team that is passionate about singing! We are loyal friends who love learning and growing together as we develop character for life and skills to sing...with our attitudes, actions, and voices. We believe that our success is defined by the self-satisfaction in knowing that we've done the best of which we're capable. We live by a code that gives us perspective and balance as we strive to be the best we can be in every area of life and singing. Our choirs work hard and play hard. 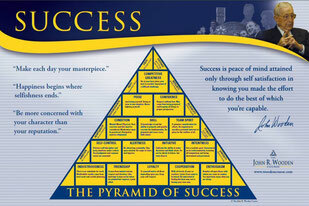 We believe that hard work is fun and that a difficult challenge is worth all the effort we can put forth. We celebrate our success throughout the year in the classroom and specifically at our choir code celebration each fall...an all-day event involving special guests and tons of food, fun and fellowship with family and friends! We become well-rounded musicians by learning how to read music through engaging games and activities. We enjoy singing a variety of styles and genres in multiple languages focusing on superior tone quality, intonation, rhythmic precision, diction, dynamics, and overall presentation. 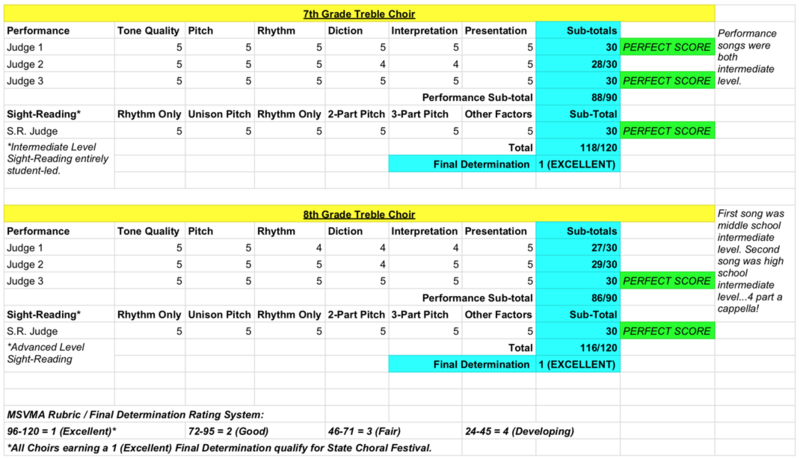 We are highly respected in our school, community, state, and beyond as a premier choral program. 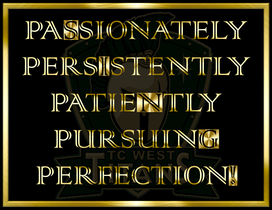 We are the Traverse City West Middle School Choirs and we love to SING! I am so glad that you are visiting the choir website where you will find several main pages. Each of these pages contain subpages with many wonderful resources for students and parents alike! Here are a few highlights from the HOME page that I would like you to make sure to visit as soon as possible. Please read the handbook together (student & parent / guardian) and then click on the link to the Google Doc at the end, where you can sign it together, acknowledging that you have read and understood everything. Here you will find a list of upcoming concerts as well as dates for parent meetings (optional) and other activities happening throughout the year. The WMS Vocal Music Google Calendar is always the most reliable source for information regarding dates, times, locations and other details. Students, please complete this survey ASAP so that I can get to know you better. Thank you! Please check out the other pages and their subpages too for many great resources and lots of information, pictures, and videos! 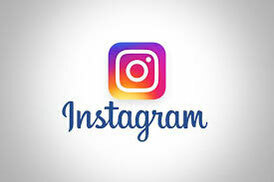 Finally, please take a moment to visit us on Facebook and Instagram and follow us there for even more wonderful photos, videos, announcements and celebrations! Thank you again for choosing to SING! Go Titans! It is exact and specific. It demands exact acoustics. 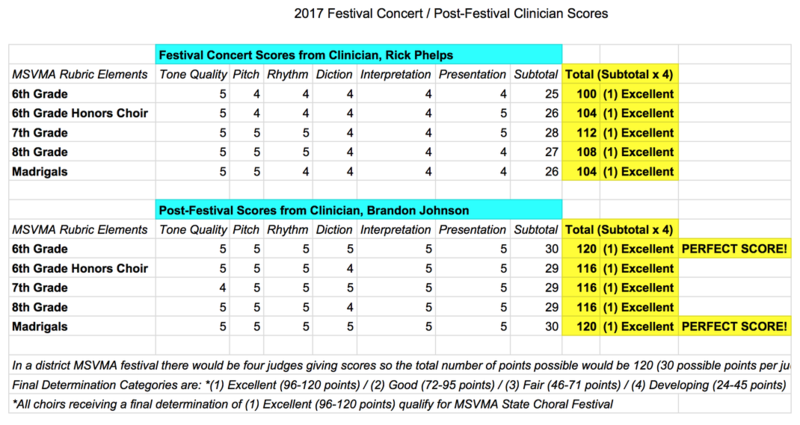 A conductor’s full score is a chart, a graph that indicates frequencies, intensities, volume changes, melody, and harmony all at once and with precise control of time. It is rhythmically based on the subdivision of time into fractions, which must be done instantaneously, not worked out on paper, and often in multiple combinations simultaneously. It usually reflects the environment and times of its creation, and often even the country and/or racial feelings. It keeps a peoples’ culture alive. It reflects the styles of each historical period, even as do the visual arts. Music develops insight and demands research. It moves into new technologies as easily as we move into a new house adapting to new electronic possibilities. It requires fantastic coordination of fingers, hands, arms, feet, lips, cheeks, and facial muscles in addition to extraordinary control of the diaphragmatic, back, stomach, and chest muscles, which respond instantly to the sound the ear hears, the symbols the eye sees, and the mind interprets. It allows a human being to take all of these techniques to express emotion, build character, develop concentration, and establish self-esteem. This is why we learn music. If you have comments or questions about the site, please contact me at deeem@tcaps.net. Thank you!